All of our inframe kitchen doors are made to measure and available in any colour of your choice. 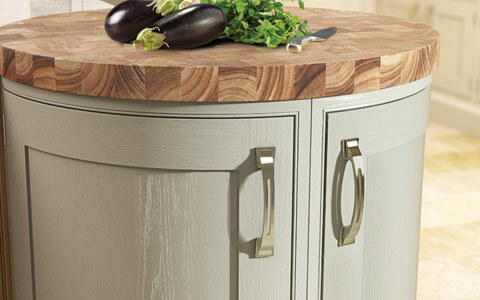 Beautify painted in matt satin finish our inframe kitchen doors offer traditional quality and timeless appearance. View our ultimate made to measure inframe kitchen doors collection consisting of different type of doors to suit every taste. 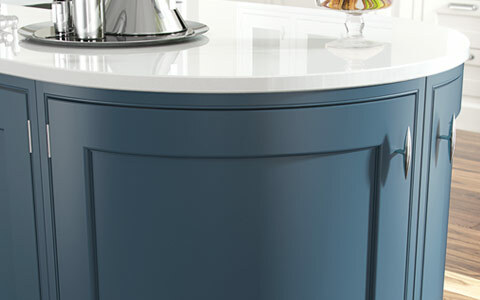 Unique inframe shaker kitchen doors collection from our Caesar inframe range. Available in any size or colour.. 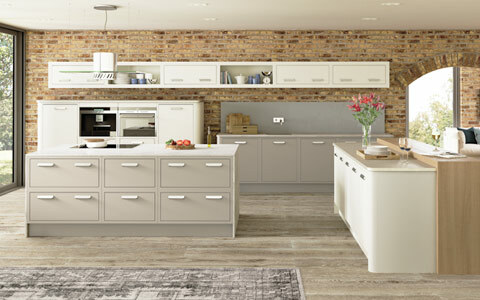 Contemporary Inframe Slab kitchen doors collection from our Geta inframe range. Available in any size or colour. Over 20 unique inframe door styles available in made to measure sizes. Choose between painted finishes, MDF, oak or wood veneers constructions. 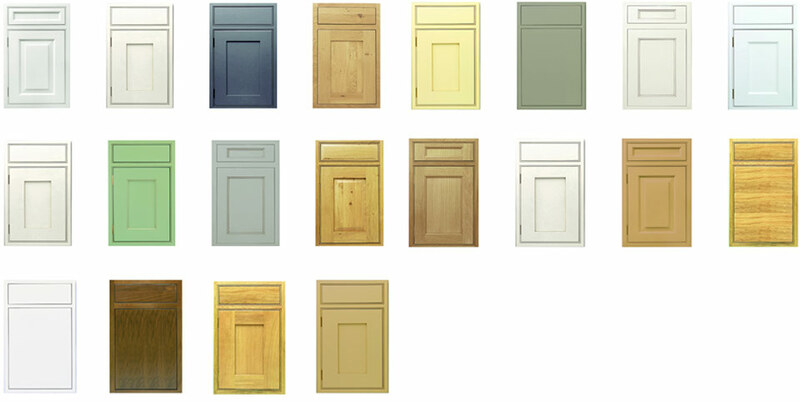 All of our inframe kitchen doors are available in smooth or painted oak finish. We provide full colour matching service or pick any colour of your choice from our beautiful colour swatches. 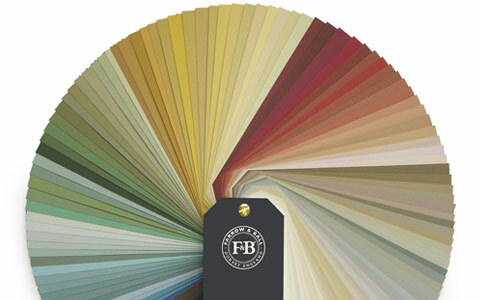 Find your colour inspirations in Farrow & Ball swatch or browser for your perfect colour in RAL colour collection. 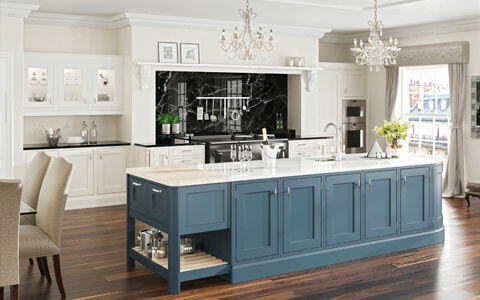 Choose two different colour combinations to create your dream traditional inframe two tone kitchen. 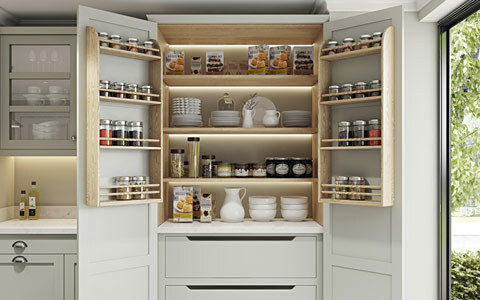 Complete your inframe kitchen by incorporating one of the many specifically designed and hand crafted accessories to add those premium touches. Cleaver storage units, open frame systems, hand crafted oak dovetailed drawer boxers & luxurious mantle pieces are just some of them.